Following the huge success of our June and July sell out performances of C’est Magnifique we will be bringing this show to a new venue in 2017. 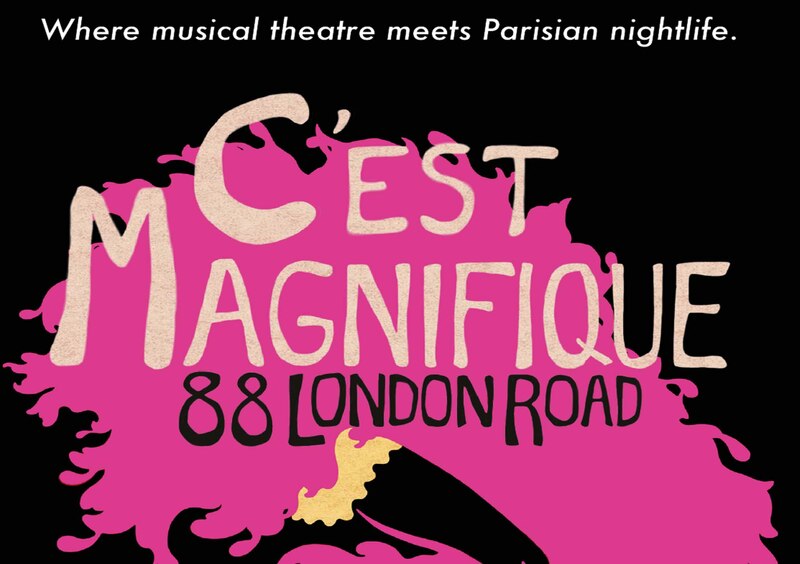 C’est Magnifique is about high kicks, champagne bubbles and guaranteed Oh la la la! Where musical theatre meets Parisian nightlife and life, laughter and love happen. Join us at 88 London Road and let us transport you to an intimate cabaret setting, bathed in candlelight. The Maître’d will show you to your table and with your drink order taken, all you will need to do is sit back, relax and enjoy the show as our performers whisk you away with breathtaking choreography and vocals. Featuring the talented cast of Singers and Dancers Conor William Baum, Gary Lynn, Emma Edwards, Erica Thornton, Natasha Hubert, Grace Riach, Sarah-Leanne Humphreys and Nathan Potter. Why not finish your evening by joining our cast on the dance floor? Doors open at 9pm. Show starts at 9.30pm. Doors close 1pm.